After watching millions of Vegas bro trips, bachelorette parties, and ballin’ high-rollers push mass-market hard liquor through their livers by the bottle, Las Vegas residents have gotten thirsty for something better. 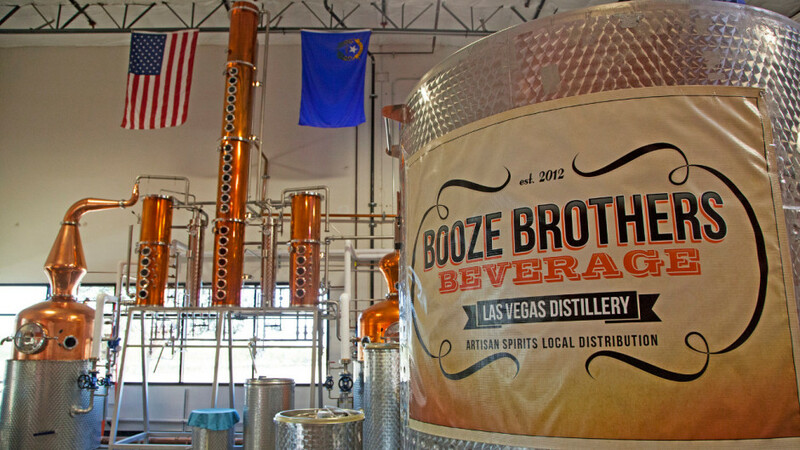 All about that hootch, Vegas was right there midwifing the birth of the craft distillery scene in Nevada. When George Racz founded Las Vegas Distillery, he bumped up against Nevada’s Prohibition-era three-tier alcohol distribution laws, which made it nearly impossible for him to serve samples or sell his products out of his distillery. A huge supporter of all things local, Racz teamed up with a few other Nevada distillers to co-draft the bill that paved the way for up-and-coming craft distilleries in the state. So next time you’re leaving a Nevada distillery with a couple bottles of craft booze under your arm and a shot in your belly, you know who to thank. Las Vegas Distillery, in the spirit of friendship and cooperation, values keeping business within their Nevada neighborhood and sources most of their grain from Winnemucca Farms in the north of the state. Check them out for a free tour (from George himself) or to smell, see, and catch a little buzz off their range of Vegas-born gin, vodka, whiskey, rum, something crazy (or genius) called “Rumsky,” and the very first Nevada bourbon ever created. Seven Troughs is all about keeping it old school; their process relies on the same methods George Washington used to operate 1799’s most popular distillery. The brick-stove and pot-still setup that gives rise to their Recession Proof Moonshine produces super small batches of just 12 gallons at a time — all of which is manually bottled in mason jars and labeled by hand. This kind of historical accuracy is probably not the quickest way to make a fortune, but owner Tom Adams’ main concern is producing consistently great-tasting booze infused with Nevada’s Old West spirit of self-reliance. Their grains are from Winnemucca Farms, their malts are sourced locally, and even the spent grain stays in-state — most of it’s donated to hog farmers in Yerington, while the gnarliest methanol-rich portions get sent over to a neighbor who repurposes it into additives for tractor and hot rod fuel. 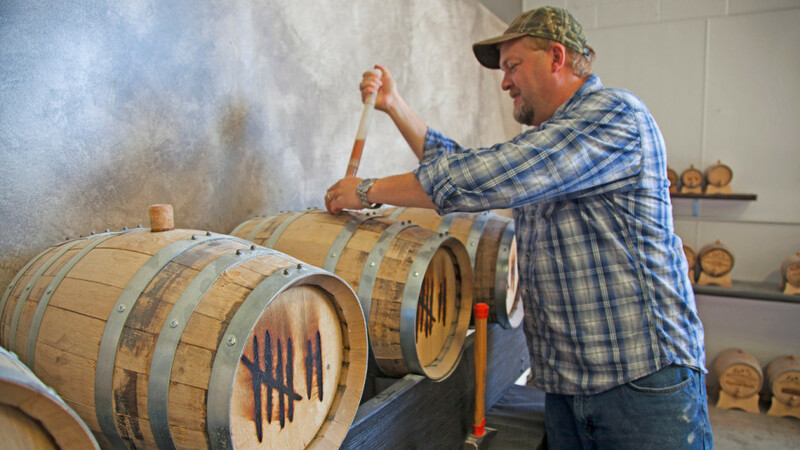 In addition to literally hand-crafting their inaugural white lightning, Seven Troughs has also recently added their Reno Rodeo vodka, Black Rock Rum, and Seven Troughs Bourbon to the roster. Pay them a visit in Sparks for a lesson in distilling history, a sample of their spirits, and to personalize a barrel of Nevada Bourbon that you can age under your own supervision. If there’s anything that makes train travel even more awesome, it’s booze. 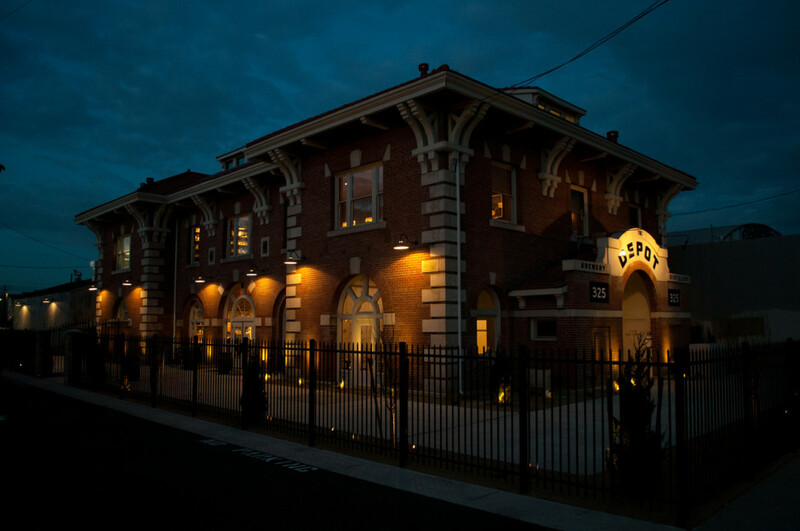 The Depot Craft Brewery Distillery opened in Reno’s historic Nevada-California-Oregon Railway headquarters building just this year (well, technically their debut was on New Year’s Eve). Paying homage to their Nevada roots, everything that goes into The Depot’s whiskey is sourced from neighboring fields and farms to be milled, cooked, fermented, and distilled on-site. Then, out on the floor of their restaurant, you can sample the final product multiple ways in some of the most elaborate and creative cocktails you’ll find in this part of town — or in any town, really. And because it’s Reno, they’ve brought some of the microbrew scene into the mix. The Depot is the first combined brewery and distillery in the state, which means happy drinking for everyone in your party. Yes, even you, grandma. Frey Ranch takes drinking local to a whole other level. Every single ingredient used in their spirits is grown and harvested right there on their own 1,200-acre farm, making it Nevada’s only “estate distillery” (and only the second in the country). 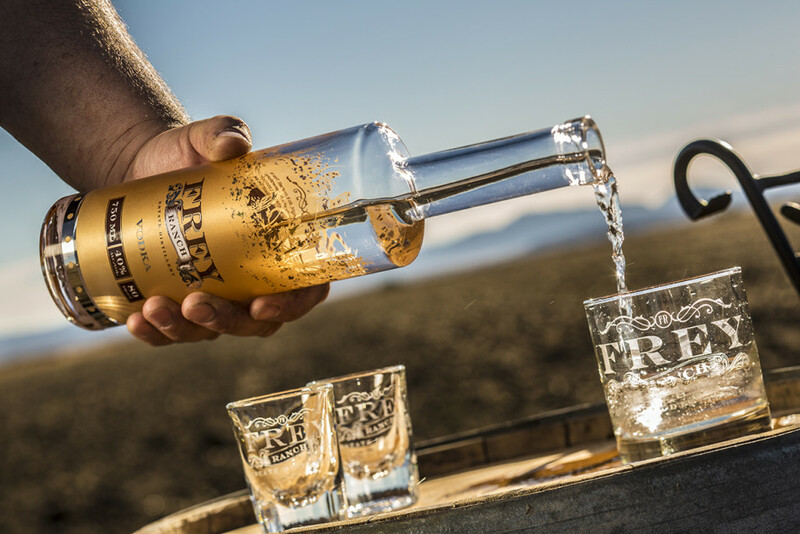 The Frey family’s been growing grain in Nevada for 150 years, but until they opened their 4,000-square-foot distillery, their farm wasn’t producing an actual product to showcase their labor. Now you can sit back and sample some Frey Ranch Vodka with the source in full view right outside the distillery windows. And because Nevadans love helping their neighbors, Frey Ranch provides several other local breweries and distilleries a Nevada-grown grain source. But while you can get your taste of Frey Ranch in bottles distilled elsewhere, there’s just something cool about knowing the second you cross the threshold of their property with a bottle of their vodka in hand, that’s officially the farthest any ingredient in that bottle has ever traveled. 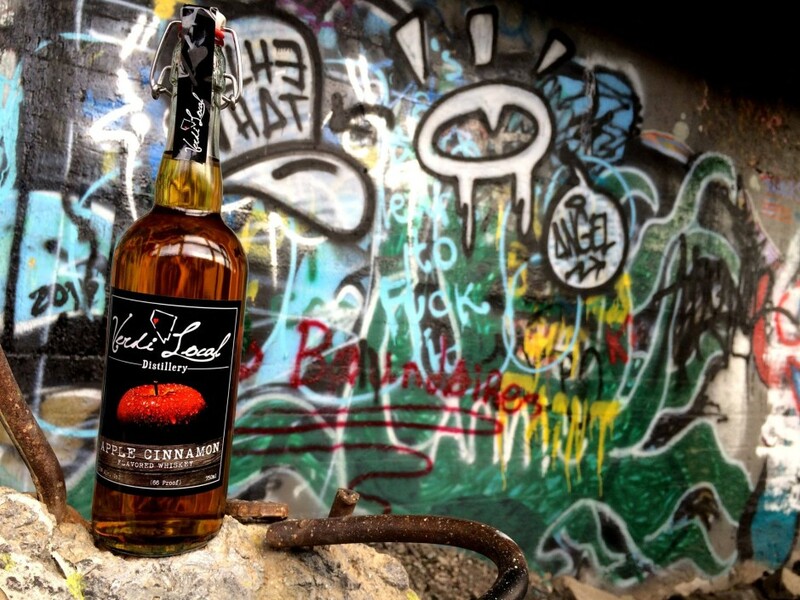 Verdi Local Distillery, at 774 square feet, just might be the smallest distillery in America, if not the world. (We’re waiting to hear back from the good people at Guinness World Records.) It’s more laboratory than distillery, and taking a tour here is something akin to walking around a friend’s living room and marveling at their ingenious boozy science projects. Inspired by Fireball whisky, Jeremy and Katey Baumann of Verdi Local set out to create flavored whiskey concoctions — but ones that actually don’t taste like burning hot mouthwash. The end result, their Apple Cinnamon Whiskey, hit the mark so hard with its deliciousness that it’s better known locally as BOJ, or blackout juice. Also in the works are a black licorice whiskey, an experimental hop-filled whiskey, and an orange peel gin. Yes, good things do come in small packages. This post is proudly produced in partnership with TravelNevada.